We offer an extensive range of Steel Shower Tray which are strong, durable and built to last. 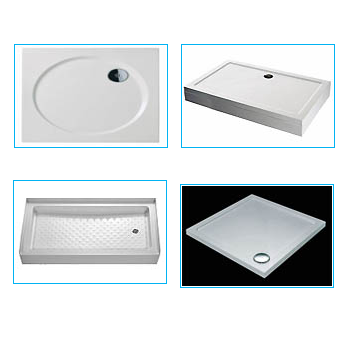 With an aim to provide diversified choices, we fabricate different styles of Steel Shower Tray. Our collection of shower trays comes in various shapes and sizes depending upon the demand of customers. Aakila India Pvt. Ltd. was established in the year 2010. We are manufacturer, trader, importer and exporter of Coco Chips, Coco Peat Disc, Baskets, Grow Bags, Turmeric Powder, Coconut, Hardware Products, Interior Paints etc. Having a strong marketing network and well equipped with modern, and state of the art infrastructure, we have the necessary expertise and backbone to meet any scale of demand for our commodities. All our products are handled by a young, but experienced team of professionals fully committed to the task of meeting specific requirements of individual clients. We have a vast experience in procurement, storage, processing, and supply of the commodities which ensures that our clients shall get premium grade products, although we deal in a wide variety of commodities. Our main priority is serving our global customers with the service they expect. With an unblemished track record, we have many extremely satisfied clients and are happy to mention that our organization, Aakila India Pvt. Ltd. has won the goodwill of it’s customers on account of competitive prices, maintenance of quality standards, and strict adherence to stipulated shipping dates. Our prompt action to deliver the goods in a very short notice has earned us a name among our customers. Our efforts are promoted by our commitment towards excellence.